Moving Minds™ was created for one reason—to help increase physical activity in the classroom. There is a growing body of research that documents physical activity’s positive association with academic performance and our products are designed to help bring the benefits of movement and activity to the classroom environment in a way that benefits both teachers and students! It turns out that you were straight-up brilliant all of those times you had your students do jumping jacks to get their wiggles out. 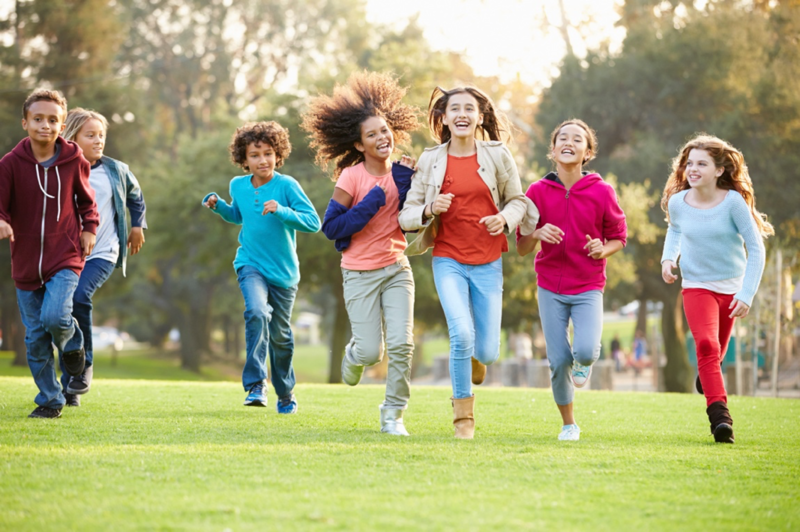 Because while you have always known that your kids learn better when they move, researchers are just starting to explore the impact of movement on brain development. What they’ve found is fascinating to educators who are looking to improve student performance: The more kids move while they are learning, the easier it is for them to understand difficult concepts, to pay attention and to be successful in school. Implement a Movement Policy: Make it your classroom policy that kids move when they learn. So when they go to the drinking fountain, they touch the ground after every step. When they sharpen their pencils, they reach toward the ceiling with every step. Whenever they answer a question, they stand up. On the way to the restroom, they do lunges. Before lunch, the whole class does a few Pilates moves. Eventually, these little movements will become habits and make your students stronger learners. Ball-Toss Spelling: Call out a spelling word, then toss one of your students a rubber-band ball and have them call out the first letter in the word, then toss the ball to another student, who should call out the second letter. … Continue until all of your spelling words have been practiced. Measure Around the Room: Challenge your students to measure a variety of things in the room—chairs, desks, doors, windows—using yard sticks and rulers. Record their answers in a log and make a chart of the biggest and smallest things. Play Switch-Off: Put an assignment on the board (e.g., pg. 35, problems 1–20) and have students write their name on the paper and complete problem one. Then, when everyone has finished with problem one, have them stand up and move to the next desk, check their classmate’s answer to problem number one and then do problem number two. Continue until every student has done every problem and checked every problem. Use the Playground for Math Practice: Head out to the playground for math class. Have your students run 20 steps, counting each step aloud. Or have them jump 30 times. 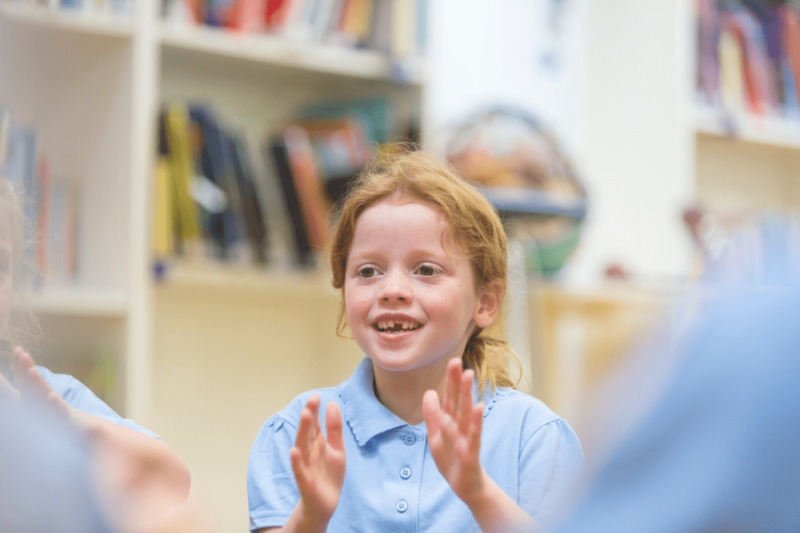 If you have older students, have them run or jump while skip-counting by twos or threes or even sixes or sevens. Fact-Family Relays: Write two parts of a fact family on the board. Break the kids into groups and have one member come up to the board and complete that fact family, then write two parts of another fact family. Have them then pass a baton (a ruler or pencil) onto the next member of their group, who will solve the next fact family. The winning team will get to write the first problem for the next relay race! Take a Nature Walk: Your school yard can serve as a great place to explore nature. Have your kids grab a notebook and a pencil and take a walk around the schoolyard, taking time to look for varieties of plants and insects, to listen to birds and other noises and to notice what scents waft into the area. Take a break to have your kids journal about the experience. Play a Giant Game: Put numbers onto giant Connect Four–like game tokens. Then have your students play, making sure that numbers always get bigger as they go up. For example, they can never put a 2 on top of a 1. Do Pattern Dancing: Have your students come up with a dance that represents a pattern in math. For example, to demonstrate an ABCB pattern, they could do a hop, a skip, a spin and a skip. Have them perform their dances for the class. Categories: Call out a category and have your students stand up and clap their hands while they name as many items in that category as they can. See how many nouns or verbs or prime numbers they can get in a row before someone misses a beat. Or Add a Motion Movement to Transition Times: In addition to a morning motion movement, create a 5-minute window in your schedule between science and math or reading and social studies to implement physical activity into your day. Create Movement-Based Learning Stations: When you do learning stations or centers, always make sure at least one involves movement. This can be as simple as adding Kore WOBBLE™ chairs around the table while your kids work on math facts, or something more complex, creating a center that has kids doing a series of tough movements to see how quickly they can do it. 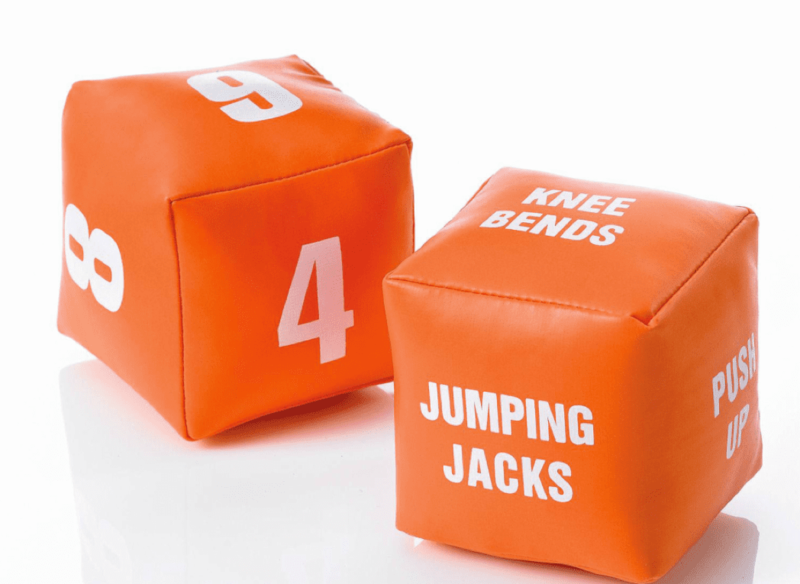 Keep a Bag of Tricks: Write a variety of movement-based activities—frog jumps, jumping jacks and yoga stretching—onto small pieces of paper or wooden blocks. Several times during the day, have a student draw a “trick” out of the bag and lead the entire class in that exercise. Use LEGO or Building Blocks: Have your students work in pairs or trios on the floor to build patterns (try an AB pattern or an ABC pattern to start) or to work on counting using LEGO bricks or building blocks. Alphabet Plates: Write the letters of the alphabet on paper plates. Have the kids put them in ABC order and then hop from plate to plate as they say their ABCs. Spelling Plates: Or if you have older students, have your kids write the letters of their spelling words onto paper plates. Then have them use the plates to spell spelling words and then hop from plate to plate while they spell them out loud. Try a Learning Ladder: Use a learning ladder to combine movement and content in a fun, interesting way. The teaching possibilities are endless as you can use a learning ladder to teach anything from colors to numbers to letters and spelling. Use a Standing Desk as a Reward. Get a standing desk or two and reward students with the opportunity to use them during a lesson. Rotate which students use the standing desks, and by the end of the day, every student will have stood at least once. 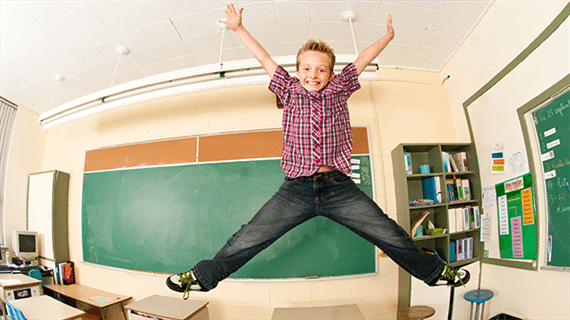 Question: How do incorporate movement into your classroom? Tell us and you could win a movement-based learning center for your classroom that includes more than $600 in great stuff to help get your kids learning and moving. As a health teacher, I’m always thinking about ways to keep kids alert and interested in learning. Even if the content is interesting, getting students up is great for the body and brain. The one strategy that I use most frequently is called, “15 minutes.” This is simply getting students up from their desk every 15 minutes. It can be as simple as just stretching for 30 seconds, to a more in depth Gallery Walk or game that involves learning. We do this so frequently now, that students will often come up with their own ideas for moving in class. Even dedicated a class walk, where you go from group to group and answer questions about topics related to your content area can be incredibly beneficial and fun for students. It’s really all about making in a habit and not allowing the constraints of a class to stop you from making positive change.